Front Row (left to right): *Brian Blount (Princeton Theological Seminary), Wayne Merritt (Interdenominational Theological Center), N. Clayton Croy (Trinity Lutheran Seminary), David Rensberger (Interdenominational Theological Center), A.K.M. Adam (Seabury-Western Theological Seminary), Sue Garrett (Louisville Presbyterian Theological Seminary). 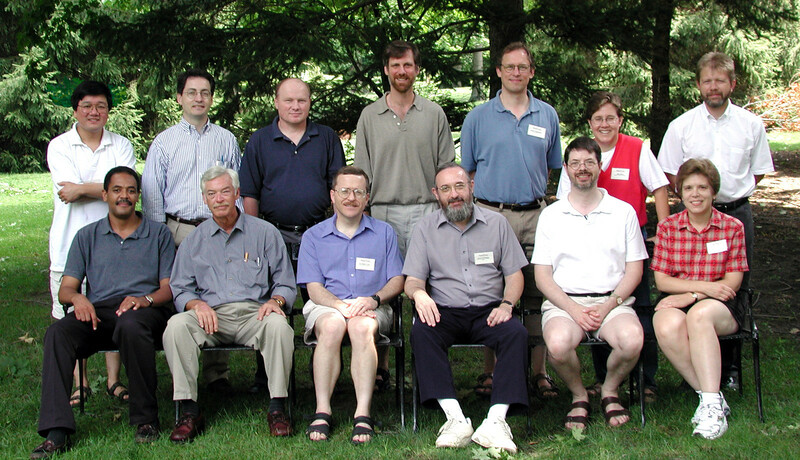 Second Row: Sze-kar Wan (Andover Newton Theological School), James Bury (Perkins School of Theology), Steven Cox (Mid-America Baptist Theological Seminary), Fred Weidmann (Union Theological Seminary, NY), David Fredrickson (Luther Seminary), Mitzi Minor (Memphis Theological Seminary), *Paul Myhre (Wabash Center). Not Pictured: Ross Wagner (Princeton Theological Seminary).